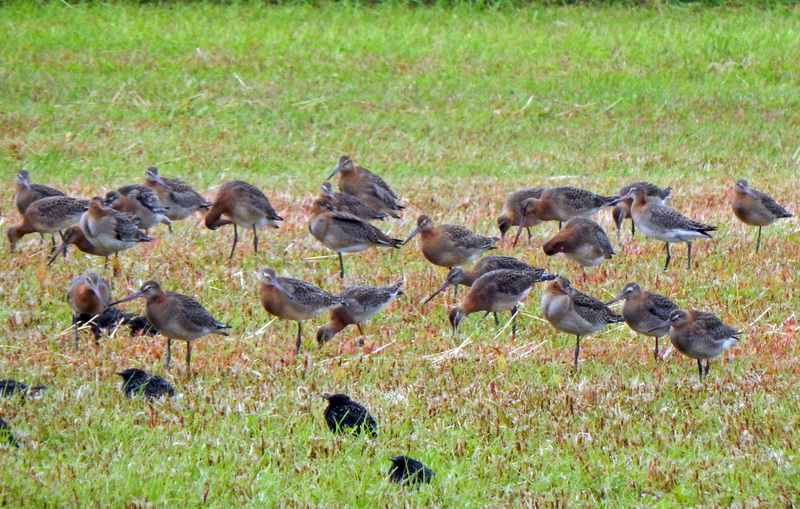 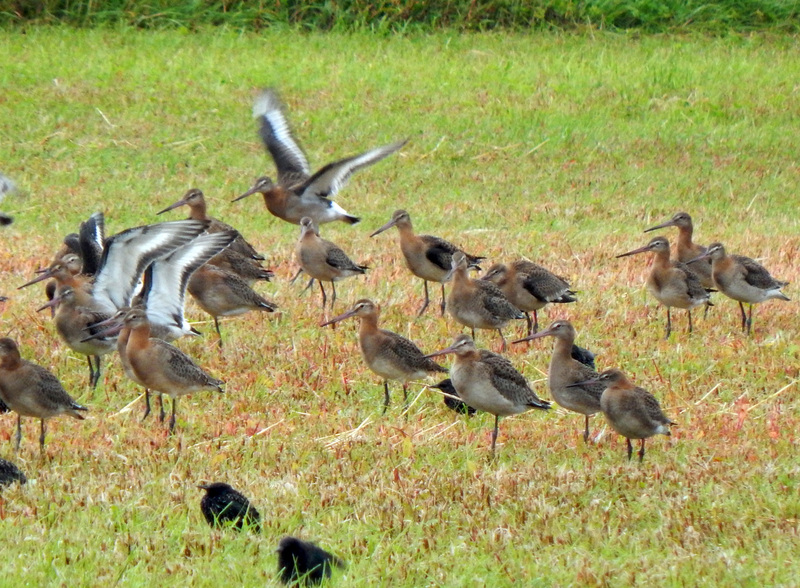 TIREE: A flock of 205 juvenile Black-tailed Godwits and 4 juv Knot on arable silage stubble at Kenovay today. 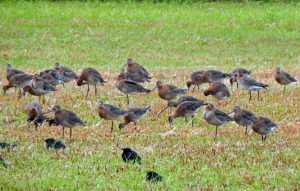 2 Dunnock new at Balephuil – also 6 Common Redpoll there (John Bowler). 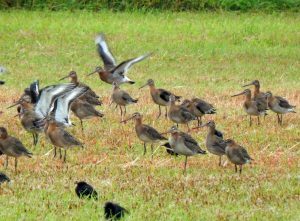 BLACK-TAILED GODWITS – Kenovay, Tiree 28th Aug (John Bowler).